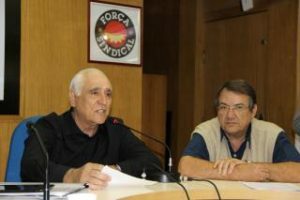 Melquíades Araújo is a President of the Federation of Workers in Industry of Food of the State of São Paulo – Fetiasp and First Vice President of Força Sindical. Participated of the foundation of Força Sindical, in 1991.However, big part of the Unions and Federations, which defended an actuation focused in the concrete necessities of workers and the intransigent defense of their rights and interests, such individuals as collectives, did not accepted any of the existent Centers. This way, little by little, from the workers of the basis to the cupola of the Unions, and then to the Federations and Confederations, the idea of building a Center that prioritize more labor proposals and less political-party was growing. This center was born in March 8, 1991, already marked by democracy, authenticity and for effective and transparent actuation: Força Sindical. The first and second presidents, Luiz Antônio de Medeiros and “Paulinho” Pereira da Silva, come from the category of metallurgists. But they achieved representativeness in all the s ectors of the professional branches, in industry, commerce, transport, services, rural areas, communications, education, sport, leisure, etc. Força Sindical is highlight in the social-political and economic plan of Brazil for the seriousness of its causes. Among the most important banners defended by it are: fight for the workload reduction from 44 hours to 40 hours, without wage reduction. The fight for the valorization of the minimum wage, such as it announces the Incise 4 of Article 7th of the Constitution, until it attends the purposes it was created to, guarantying work, dignified home, food, education, health, leisure, clothes, hygiene, transport and Social Security. The fight for decent work and for the defense of labor rights hardly achieved, taking out the loosening and the outsourcing of labor. The maintenance of the costing of the union organization, over contributions of the category considered as a whole, as a way of retribution for the ample representation, of associated and not associated, in the collective negotiations and comprehensiveness of all the agreements and Collective Conventions, through the negotiable contribution legitimated by the Article 7th of the same Law n. 11.648, from 2008. Because of all this, in the 20th anniversary of the Center, we cheer the valorous Força Sindical and its affiliated, wishing them long life. (1) Between 1930 and 1945,when Getúlio Vargas (PTB) governed Brazil. It was a time of deep transformations in the Country, which started to be more urban and industrialized. Getúlio came back as president in January 31, 1951, until August 24, 1954, when he suicide. ding to the Law of National Security. (3) Expression coined by the general dictator president Ernesto Geisel, whose government already suffered big social pressure for the re-democratization of Brazil. Geisel, who was president from 1974 to 1979, signalized that the delivery of the power to the civilians was not going to be made precipitately. After his government, the dictatorship would still last six years. 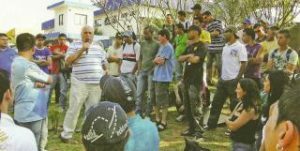 Since the beginning of the “Vargas” era (1), the organization of the working class, in national level, has been denied to us. In the lead times of the military dictatorship (1964-1985) the meeting of Trade Unions and Federations of many categories became considered subversive practice (2). s it was announced, to reactivate the idea of organization in Center. Actually, from the CONCLAT, in the year of 1981, the project passed from idea to construction. It was not possible the creation of an only Center, over the pure politic divisionism. And it was this way that it appeared first CUT, in August, 1983, after the CGT, which the breakdown, still politician, leaded for a division in a CGT Confederation and the other Center.